Do you have videos on your iPhone that you want to move to your Mac? Maybe you downloaded a movie or an clip from the Internet and you want to store it on your computer. Maybe you simply want to back up your videos. Whatever the case, it’s fairly easy to get videos from your iPhone to your Mac; you just have to use the right tools. The first method we’re going to look at is the most versatile. You can use this method to move many different kinds of videos from your iPhone to your Mac, even if you didn’t purchase the videos. For this method, you’re going to download a powerful third-party application called iMyFone iPhone Transfer. This software allows you to transfer videos, music, and other media freely between your iPhone and your computer/iTunes. You can transfer all kinds of video from many sources. For example, video from your camera roll, movies, TV shows, music videos, podcasts, and clips from the Internet. You can preview you video and select to transfer. You can transfer videos either to your Mac/PC directly or to your iTunes library, without even opening iTunes. You can transfer videos that are both purchased and not purchased from the iTunes store. You can share videos with many devices, even ones with different Apple IDs. Step 1. Download and install iMyFone iPhone Transfer on your Mac. Plug your iPhone into your Mac and launch the software. Step 2. Click the Video tab at the top of the screen. You can select what type of video you want to transfer using the left sidebar. Step 3. Now you will see a list of videos. Select which videos you want to transfer. Right click on the videos and choose Export, and choose Export to Mac. Step 4. 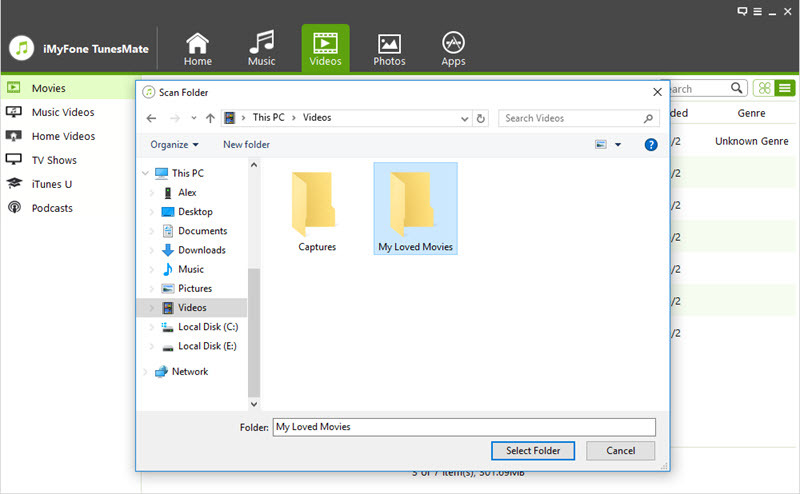 Browse for which folder you want to send your videos, then click Select Folder. Now wait while the application automatically transfers your files. It will tell you when it is done. However, if you want to copy recorded videos from iPhone to Mac, you need to head to Photos tab instead of Videos tab at the top menu and choose the Videos album from the left sidebar. Transfer music selectively or in bulk. Transfer from your iPhone to your computer or from your computer to your iPhone. Add new media files to iPhone directly from computer, iTunes, or external hard drive, without losing any data. Automatically convert songs or videos to iOS-playable formats when you transfer to your iPhone. Manage your songs and delete duplicates. Click Account > Authorizations > Authorize This Computer to make sure that your computer can download the purchases. You may have to sign in with your Apple ID to verify. Plug in your iPhone. A dialog window should come up. Click Transfer Purchases in that window. If it doesn’t come up, then just click File at the top, then Devices, then Transfer Purchases from iPhone. This will transfer all of your purchases, including video. If you only wanted to transfer video, then you are better off using the third-party method, where you can be selective. This only works with purchases, of course. If you didn’t purchase the videos from the iTunes Store, you probably won’t be able to transfer them with iTunes. Plug your iPhone into your Mac. 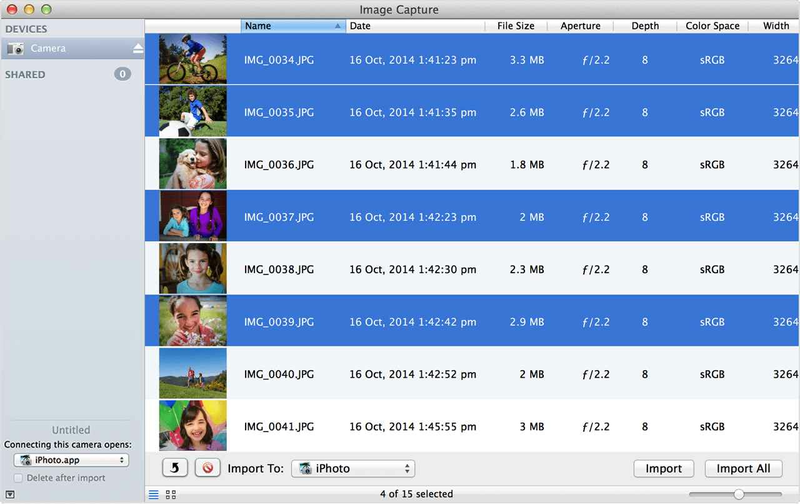 In Image Capture, you should see a list of the photos and videos on your iPhone. These should come up automatically after a moment. Hold down the Command key and click specific videos to select the ones that you want to transfer and click the Import button. You can also just click Import All to import all of your photos and videos to your Mac. Now you just wait. Don’t unplug your device while Image Capture is importing. As your videos are imported, a green check mark will appear beside them. 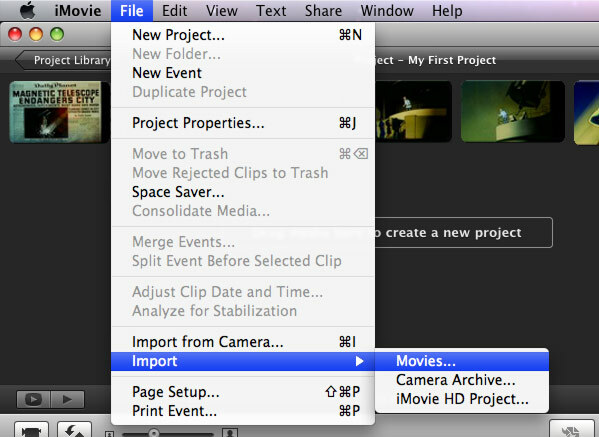 In iMovie, click the Import icon. It looks like a little arrow pointing down inside a gray box. When the browsing window comes up, click on your device in the sidebar. You should now see a list of your iPhone videos in the window. 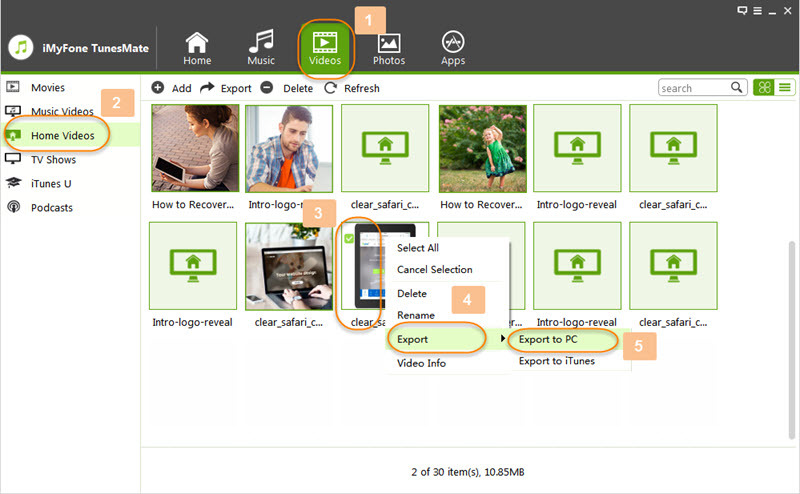 Choose the destination of where the imported video will go by clicking “Import to” and choosing an event. Just as with Image Capture, you can Command-click specific videos that you want and click Import Selected, or you can just click Import All to import them all. Wait until iMovie imports your videos. There may be a progress circle in the top right corner that shows you how long it will take. Don’t disconnect your iPhone until the importing is done. How to Download Videos on iPhone 8/X ?